Hype is curious thing. When we watch basketball, it can be exciting and wonderful, dramatic and overwhelming, and sometimes very misleading. It is predicated around emotions, which can manipulate us to see beyond well-versed logic, for better or worse. It’s deeply connected to the overall experience, the word of mouth, and the feeling we get when we’re immersed in its entrails. The beauty of hype is that whether or not it’s justified, we can’t help but appreciate the joy that it gives everyone who buys into it. It’s that level of excitement that got us to start watching basketball in the first place. But regardless of how exciting hype can be – it doesn’t always deliver in the long run, and this is what we’re going to talk about. We’re going to discuss the basketball players who had a large amount of success at the college level, and failed to translate it onto the NBA court. College basketball and the NBA are two separate beasts, and sometimes a college star doesn’t have what it takes to thrive in the pros. Many NBA teams have suffered from this, after drafting players who they thought would live up to the “hype,” and passing on players who ended up being the real deal all along. These decisions may have seemed well thought out at the time, but in retrospect, they are absolutely cringeworthy. When Greg Oden played ball for Ohio State, people were saying that he was going to be one of basketball’s next premiere dominant big men. They were so high on him that they seriously debated whether the Portland Trail Blazers should draft him or Kevin Durant with the first pick in the 2007 draft. Oden, people said, was the “safer” bet. He had a much thicker frame than Durant, who’s wiry physique was one that people weren’t sure would be NBA ready. The Blazers ended up going with Oden with the first pick, and it was pretty clear right off the bat that it was one of the worst basketball choices of all time. 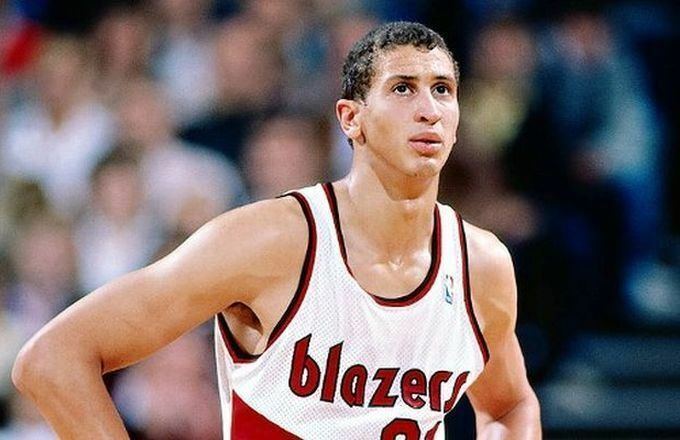 Speaking of terrible choices… the drafting of Sam Bowie has gone down in legend as one of the worst decisions in basketball history. That tends to happen when you pass up on Michael Jordan. He had a pretty solid college career, averaging nearly a double-double for three straight years, and people didn’t bat an eyelid when the Portland Trail Blazers made the choice to select him over Jordan in 1984. The funny thing is that Bowie’s NBA career wasn’t even that catastrophic. He averaged double figures in points six times throughout his career. But when you compare him to Air Jordan, the comparison is night and day – and sadly, that’s how he’ll always be remembered. 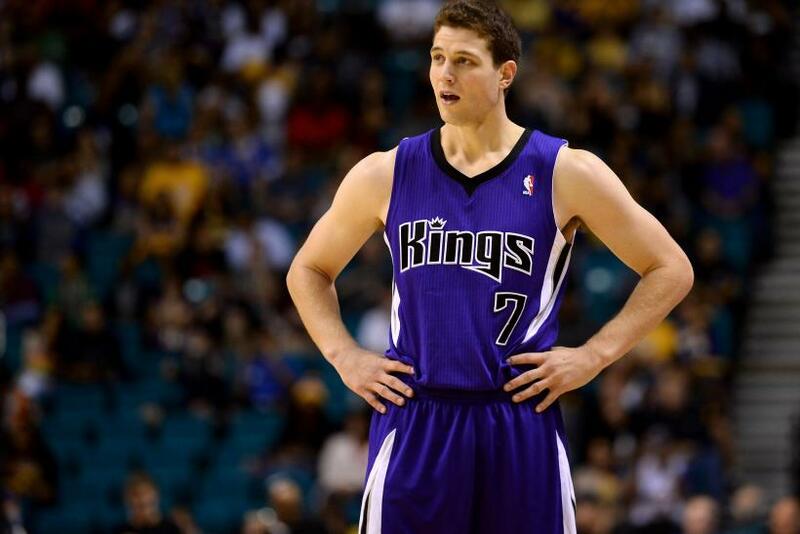 Here’s a name that got college fans excited in 2011 – Jimmer Fredette. A BYU student, he took all of America by storm with “Jimmer-Mania,” winning the Wooden Award and leading the NCAA in scoring with an impressive 28.9 points per game. A three-point wizard not unlike Stephen Curry, people thought his talent would certainly transform to the elite level. Sadly, this was far from the case after stinking it up on the Sacramento Kings, disappointing a number of people. You might recognize the name Pervis Ellison, and it would be because there was a time that his name went hand in hand with stellar basketball playing. This was the case throughout his four years at Louisville, not only taking them to a National Title but also becoming the second freshman of all time to win the NCAA Most Outstanding Player award. His accolades got him picked first in the 1989 draft by the Kings – but he never became the player people thought he could be on the pro level. Known for producing the likes of Michael Jordan and James Worthy, North Carolina is a college that generally churns out some solid players. 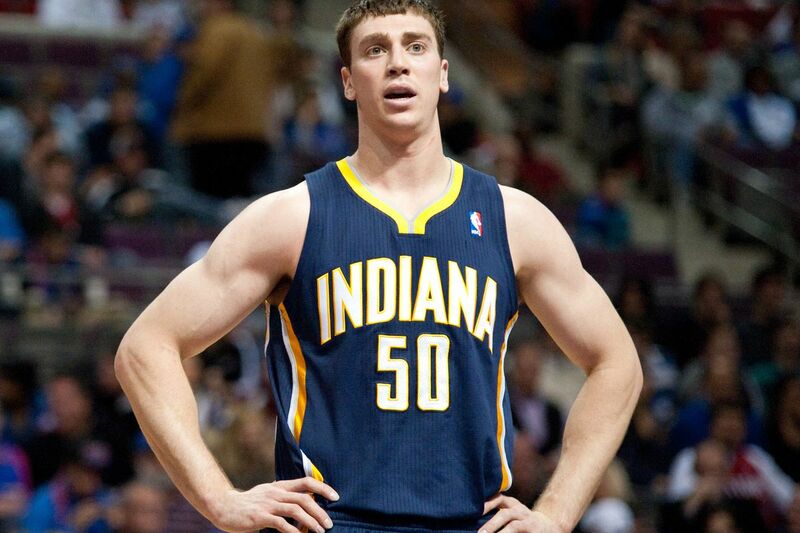 Tyler Hansbrough was one of those players, and many thought that this double double machine and National Player of the Year would continue his dominance in the NBA. But after averaging only 6.7 points a game over 438 games as a Pacer, and a few short stints on other teams, he took his talents overseas. Another college with a widely respected basketball program is Duke, so when Danny Ferry won the Naismith, UPI Player of the Year, and Oscar Robertson awards due to his outstanding statistical accomplishments, people were excited to see the things he would go on to do in the NBA. 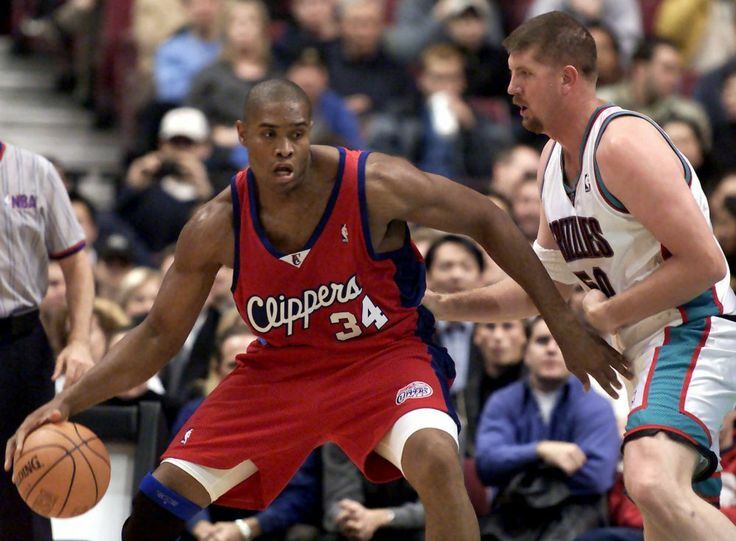 He was drafted at the number two spot by the Los Angeles Clippers, and eventually signed a ten year deal with the Cavs. After only averaging 7.0 points a game there, the Cavs probably regretted that decision later on. For those of you that don’t know so much about basketball in the 70s, listen up, because this NBA bust is timeless. After averaging 18 points and 17 rebounds during his sophomore year in college, and becoming Loyola University’s all time rebound leader in the process, everyone thought LaRue Martin would turn into an NBA legend. 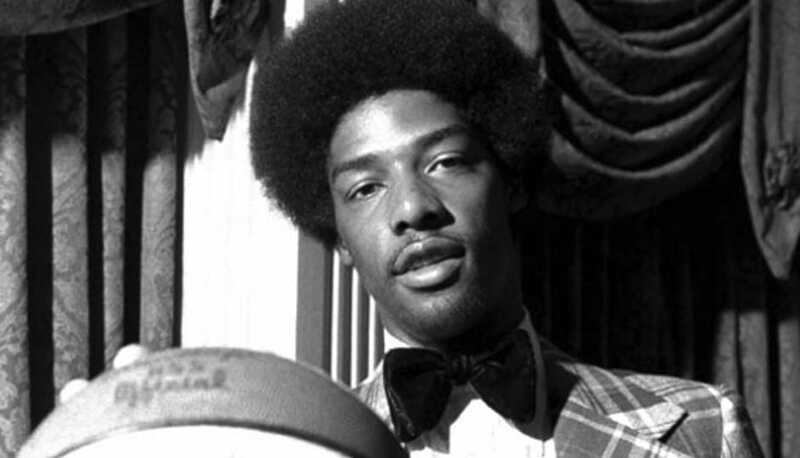 The Blazers drafted him first in 1972, before future stars such as Julius “Dr. J” Erving and Bob McAdoo, and they soon regretted it after Martin averaged a mere 5.0 points a game in his four-year NBA career. 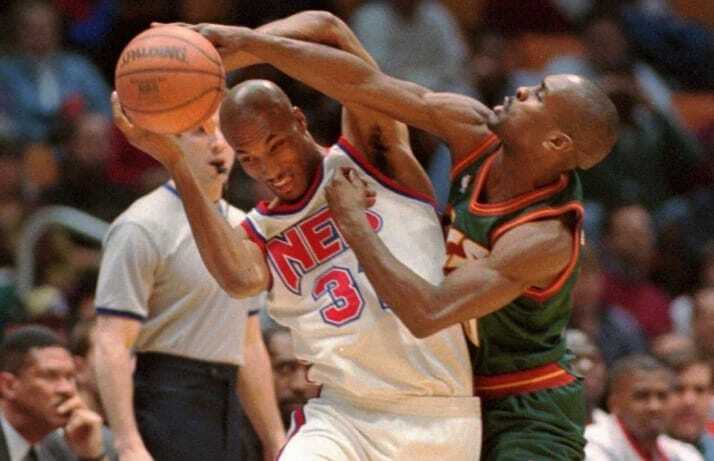 The 1998 NBA draft was one that brought a plethora of future NBA stars, and Michael Olowokandi was not one of them. Nicknamed the “Candy Man,” he was drafted first by the Clippers after averaging 22 points and 11 rebounds a game throughout his college stint with the University of Pacific. When you consider that this was a draft that included Dirk Nowitzki and Vince Carter, it’s unfortunate for the Clips that Olowokandi only averaged 8.3 points a game throughout his career. If you leave your college years as the all time scoring leader of that college, you’re probably feeling pretty good about yourself at that point. Dennis Hopson earned All-American and Big Ten Player of the Year honors after rocking the house at Ohio State, and was drafted third in 1987 by the New Jersey Nets. Five years later, there wasn’t an NBA team that wanted him due to his inability to be productive on the court. Talk about a major turnaround. Here’s a player that actually got drafted pretty recently, and already has people calling him a pretty big bust. Jahlil Okafor got some pretty serious hype as a nifty finesse-style big man from Duke, and when he got drafted third by the Philadelphia 76ers in 2015, people were optimistic that he would flourish in the league. But after a solid rookie season, his numbers would continuously decline after that – and he’s actually considering playing overseas. After averaging 17.6 points a game and 6.7 rebounds in his freshman year at North Carolina State, scouts were pretty impressed. He also led his team to the Elite Eight, which showed them that he had a winning mentality. 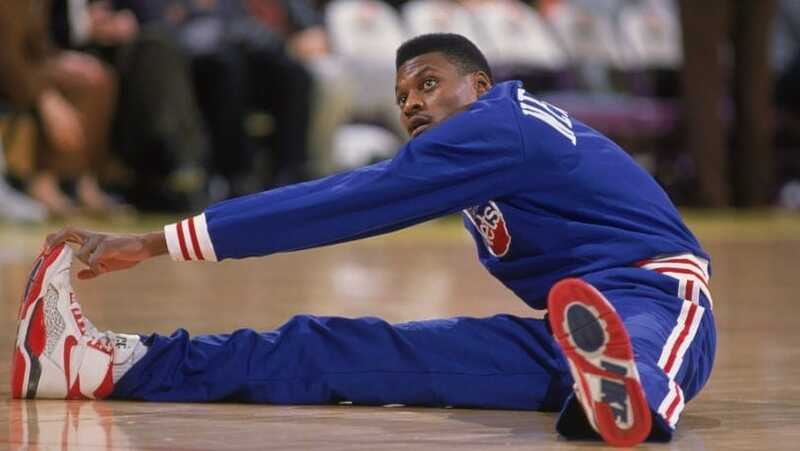 But after being drafted third by the Golden State Warriors in 1986, his “winning” mentality only brought out 3.1 points a game over three seasons. Let’s just say it wasn’t one of Golden State’s greatest decisions. There has always been a certain level of mystique over players that were in the 7’5” height range. 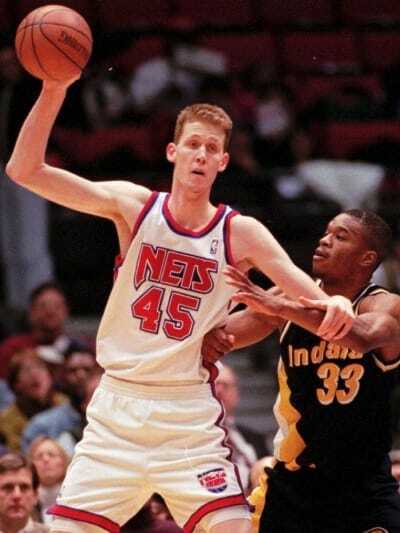 Shawn Bradley was actually 7’6”, and people were convinced that he was destined to be a dominant force in the NBA. People would soon figure out that height isn’t everything, after Bradley failed to live up to the expectations after being drafted by the Sixers. But hey, at least he got to appear in Space Jam, co-starring with the likes of Bugs Bunny and Daffy Duck. Speaking of tall players, Hasheem Thabeet was the tallest young man to ever play basketball for the University of Connecticut, and he had a tremendous level of upside when scouts were assessing his talent after he declared for the draft. A defensive monster who led the Big East in blocks and led UConn to the Final Four in 2009, he was selected before future Hall of Famers such as Stephen Curry and James Harden – and he ended up averaging 2.2 points a game for his short NBA career. College sports is a bubble within itself, and it can be easy to get caught up in the hype. In the 2006 NCAA Tournament, Tyrus Thomas made a lot of noise when he led LSU past Texas to the Final Four. Averaging nearly a double-double and 3 blocks a game, scouts were impressed by his energy and defensive prowess, and Thomas was drafted 4th by the Blazers (and then traded to the Bulls). 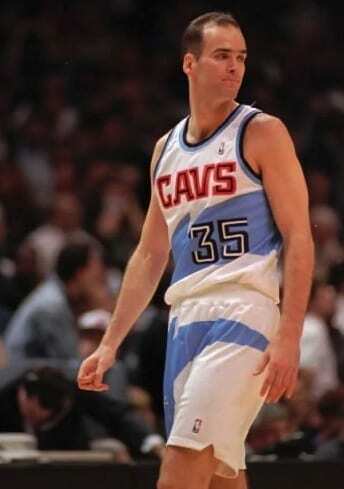 But while his energy level in college yielded good results, the NBA proved to be a tougher road for him. The Cleveland Cavaliers have had themselves a solid amount of opportunities to select first in the NBA draft. Sometimes it’s worked out quite well for them (ahem, LeBron James, Kyrie Irving). 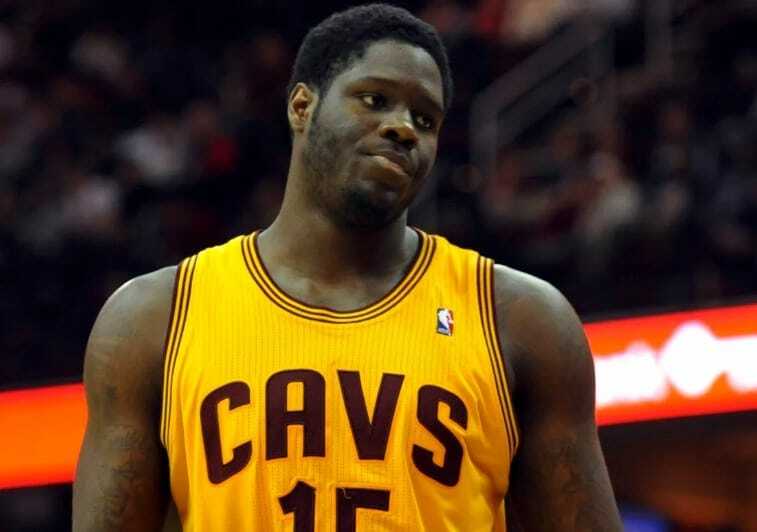 Unfortunately, they weren’t immune to making their share of wrong choices – such as when they drafted Anthony Bennett in 2013. A UNLV star who averaged 16 and 8 with a solid amount of upside, he didn’t do much pleasing in the pros, and he actually plays overseas currently. UCLA is such a well respected basketball school, and Ed O’Bannon is a big part of its history. Averaging 20.4 points and 8.3 rebounds as a senior, winning the Wooden and Oscar Robertson awards, and leading the Bruins to their first title since John Wooden was the coach, he impressed NBA scouts tremendously. The Nets were extremely excited when they drafted him, believing their “bad luck” was over. They may have spoke too soon though, because O’Bannon lasted in the NBA for two measly seasons. Todd Fuller was one of those players who had it all – a strong basketball IQ, and a physique that should’ve been able to withstand the rigorous battlegrounds of the NBA. 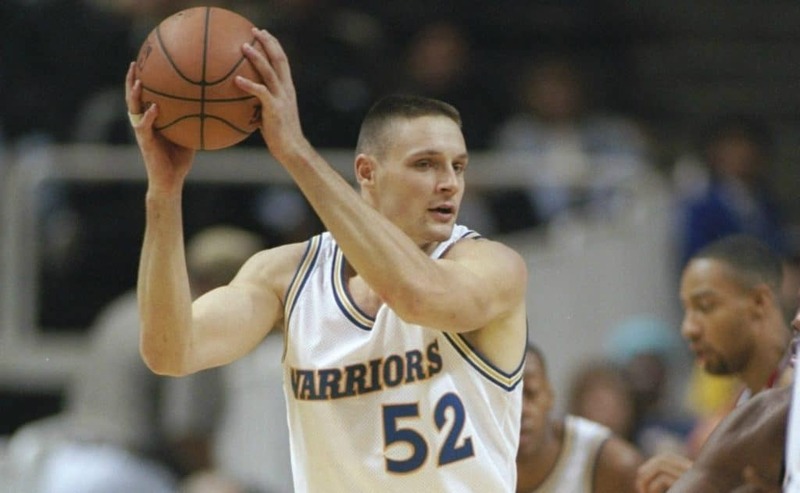 After leading the ACC in scoring with 20.9 points and 9.6 rebounds a game at North Carolina State, he declared for the draft and was picked 11th by the Warriors in 1996. Unfortunately, not only did he never average more than 5 points a game, the Warriors passed up on Kobe Bryant to get him. Ever hear of the name Luke Jackson? If the answer is no, we’re not surprised. He may have been a household name when he played ball for Oregon, leading them to the Elite Eight in 2002, and averaging 21 points and 7 rebounds a game in the process. But he would go on to score pretty little in the NBA, with a career 3.5 point a game average over a bleak four season career. Guess this was one duck that never really learned how to fly. 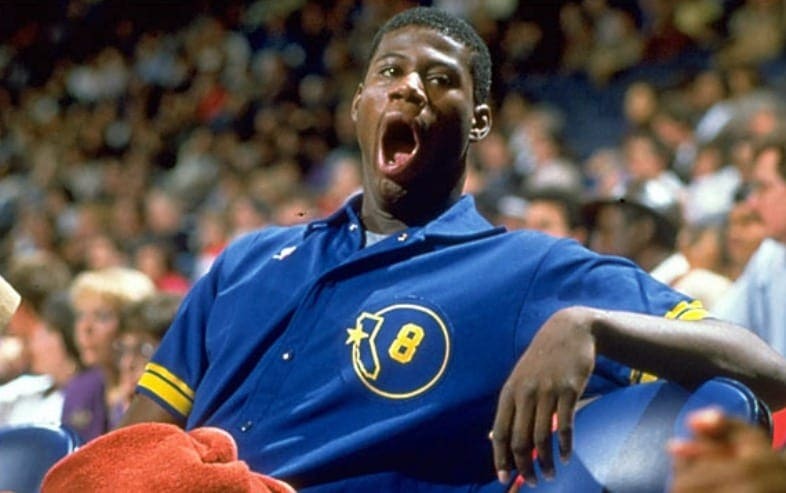 Georgetown has a history of producing basketball phenoms, so when the beastly Michael Sweetney averaged 18.2 points a game on 54 percent shooting, people were probably reminded of a time when Patrick Ewing roamed those halls. Folks may have had their nostalgia goggles on though, because Sweetney never turned into the real deal in the NBA, only lasting four seasons. It was reported that one of his problems had to do with weight struggles. This is one guy that got people super excited when he played in college. 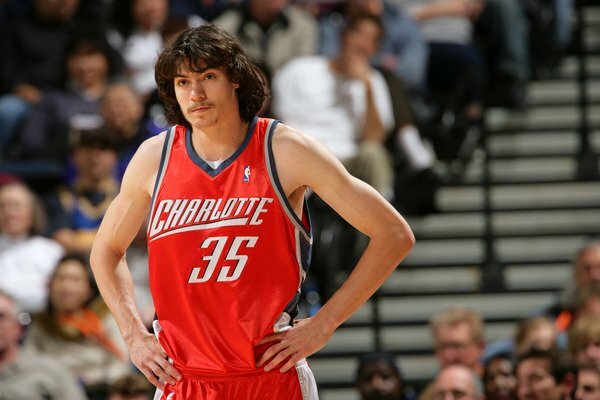 The hipster long hair, the mustache, and the knockdown jumper had people comparing Adam Morrison constantly to Larry Bird when he played for Gonzaga – helped by the fact that he was averaging 28 points per game. 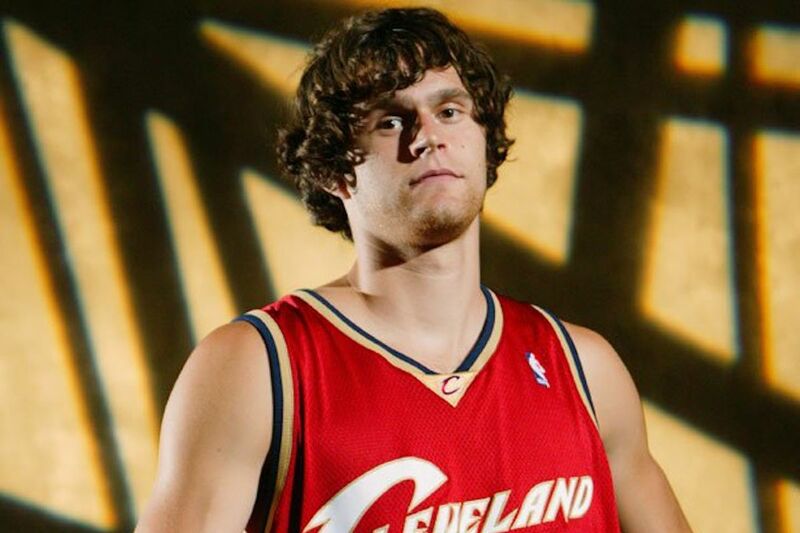 The Charlotte Bobcats drank the Kool-Aid, and drafted Morrison with the third pick in the 2006 draft. Although he dealt with various health issues, his six-season NBA career averaging 7.5 points a game was an ultimate disappointment.